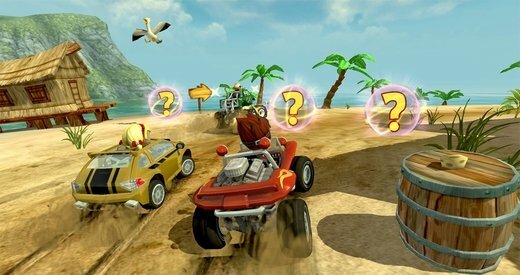 Live all the excitement of buggy races around the beach with Beach Buggy Racing, a game in which you'll compete against rivals with different skills and personalities. Aided by incredible powerups and a wide range of unlockable and improvable cars, you'll have to race around a dozen tracks designed in 3D to reach victory. 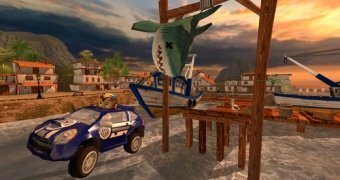 Mad races around eye-catching beach tracks in three dimensions. 12 stunning tracks set on three-dimensional scenarios. Improve and customize your car. 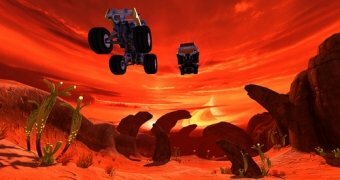 Over twenty special power-ups and boosters. Build your own team of racers. Don't think twice and download Beach Buggy Racing for iPhone. 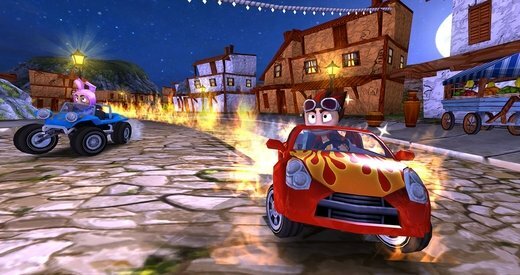 It's the sequel to the highly successful Beach Buggy Blitz, the success of which is backed by over 30 million players from all over the world.